The average lifespan of a brand in the 1920s was 67 years, today it is 15. That is a decrease of more than 50 years. In today’s world, paying attention to your digital marketing strategy (which includes content marketing) is critical to your lifespan. Not paying attention could be suicide. Why? More and more your customer’s experience is starting online. The expectations of brands are higher because of so many great products. 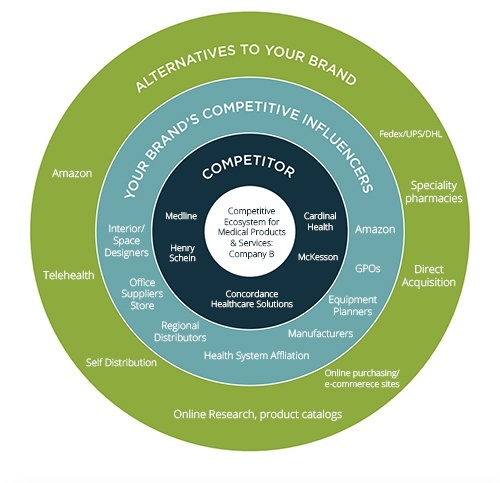 What now differentiates brands is the ability to not only deliver a solid product, but the ability to deliver a solid, positive customer experience from research to purchase to use and beyond. In the healthcare supply chain, time has always been a valuable currency. Show a surgeon, a hospital administrator or a value analysis committee how you’re giving them their time back, substantiate it with white papers, data and case-studies and you’re on the road to gaining market share. Today, the currency is still time, but it has nothing to do with your product saving their time. It has everything to do with YOUR BRAND saving their time and meeting them where they are. It is said, that for every $1 you spend on customer experience you gain $3 back, which is a pretty sweet ROI. 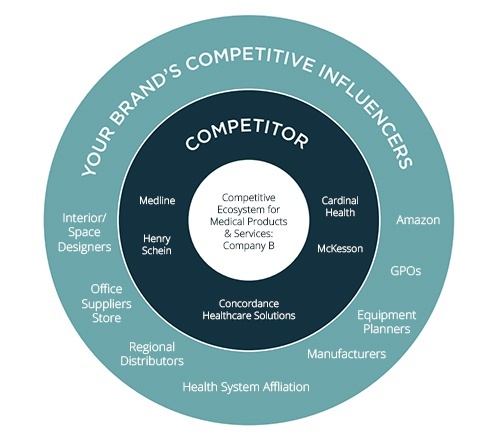 So where can healthcare manufacturers look to start enhancing their customer experience? First, lets clearly define what we are talking about, when we say customer experience. Jan Beery, CEO of KBK Communications writes it best in her recent blog, Employer Branding, Corporate Branding, and Customer Experience. Customer experience (CX) is the product of an interaction between an organization and a customer over the duration of their relationship. This interaction is made up of three parts: the customer journey, the brand touchpoints the customer interacts with, and the environments the customer experiences (including digital environment) during their experience. A good customer experience means that the individual's experience during all points of contact matches the individual's expectations. Manufacturers must rethink their service and evaluate it through the lens of their customer. How does your company interact with its prospects and customers at every touchpoint? Is it easy? Are you creating a consistent experience across all channels? and contact, when I am ready? Is the website mobile and easy for me to navigate on my smart device, so I can research easily? Does the brand offer me information in the format I prefer? Can I connect with the brand across my preferred social channels? Are my product questions responded to and resolved quickly? Can I get my order questions responded to quickly? How easy is it for me to place my order? Is the delivery of my product easy, efficient and effective? Will I know it is coming and when it is being delivered? OOPS, I ordered the wrong part! Is there a loaner program so I don’t have downtime? Is my technical and clinical support truly knowledgeable? Can I easily access a manual? If I have a problem can I talk to a real person? Can I exchange it or return it with ease? Even after my warranty expires, will the company provide support? Can you help me with preventive maintenance? Do they remind me of my maintenance needs based on the life of my product? Does the company provide me any updates on new products? Anything additional pertinent to my job? Was my experience from research to purchase seamless? 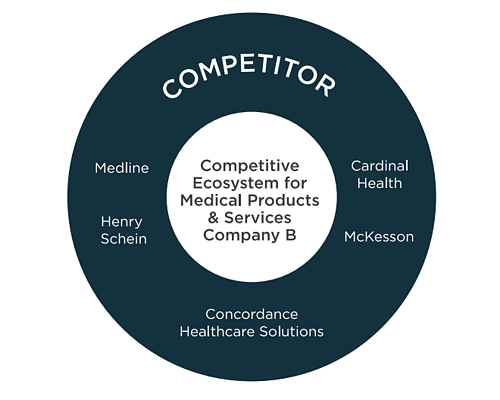 But what many are missing in healthcare supply chain is that we don’t just compete with like competitors or alternatives to us. We compete, every day, with those that shift their models to provide best-in-class customer experience. 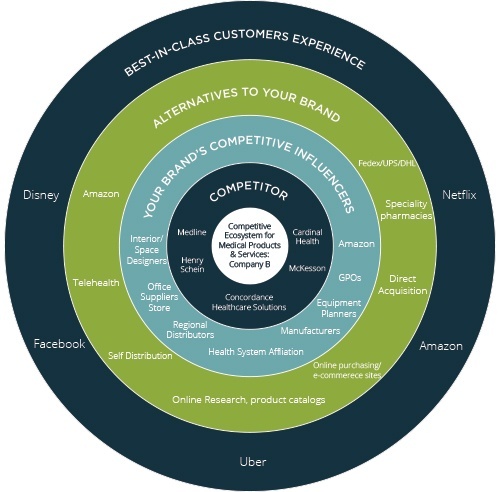 Customer expectations are set by these brands. Those that can shift their service models quickly to provide a better, faster, easier, frictionless customer experience will win. Identifying where it makes sense to shift is the tricky part. Map out your customer’s journey from research to purchase. Literally, write it down, with a pen (or pencil, google doc, your choice). Where can you meet your customer earlier in their journey? Where can you shift what you're doing to save the customer time, make life easier and delight them? The number one most important factor in customer loyalty is the reduction of customer effort/friction. Fifty-two percent of dissatisfied customers stop buying after a bad experience. Providing a delightful customer experience is critical to your brand reaching the 15-year lifespan and beyond. Today’s buyer is shifting toward the millennial generation and very few from this audience remember a time before digital. From research to purchase you are curating your customer’s experience. A journey map is a great tool for showing you what is already happening. Your job is to reinvent it. 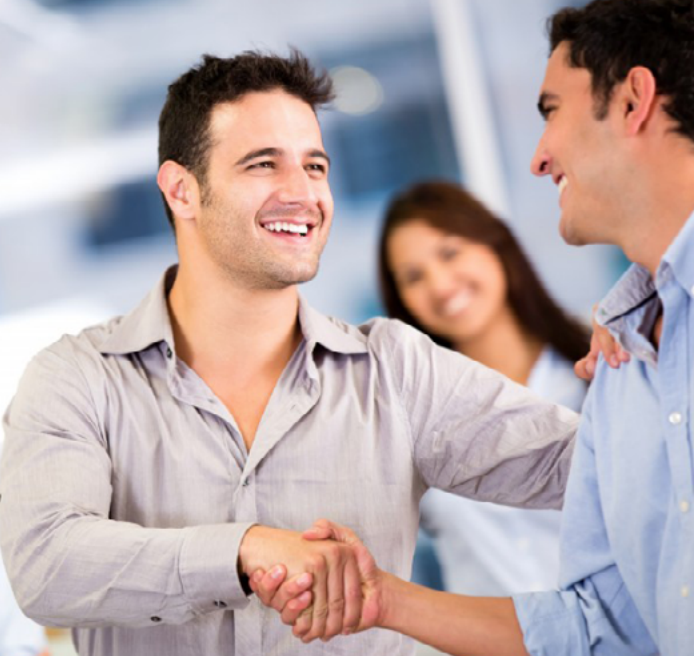 The customer experience does not start when your customer contacts you or vice versa. It starts when they begin researching a problem, product or service. If you are present in their online research then you have already started to positively affect and nurture that customer relationship. Give them access to the information that will allow them to answer their own questions, simplify their research process. In healthcare, we often hold the cards close because “we don’t want our competitors to know what we are doing.” SURPRISE, they already know and if they don’t they will get the information. Making it easy for your customers to access the information they need about your products online, does not put you at a competitive disadvantage, instead, it is just the opposite. You are breaking down barriers in your customer’s experience and in turn, creating a positive experience from the start. In addition to information access, meet your customers where they are whether it is on social media (yes, your customers ARE on social media. Next question? ), via podcast on their drive to work, on their mobile devices or elsewhere. Find (or even invent) ways to stay in front of, educate and help your customers through the channels they are already on. Make sure the experience you are curating across all channels is consistent, memorable and even sharable. You are shaping your customer’s experience from the start of their research to their decision to purchase. "Loyalty is when people are willing to turn down a better product or price to continue doing business with you." Customer retention makes your organization more profitable. The number one, most important, factor in customer loyalty is the reduction of customer effort or friction. How can your organization provide a best-in-class experience? Today and in the years ahead, having a frictionless, thoughtful, digital experience will aid in shortening your selling cycle, creating an exceptional experience and retaining happy loyal customers. 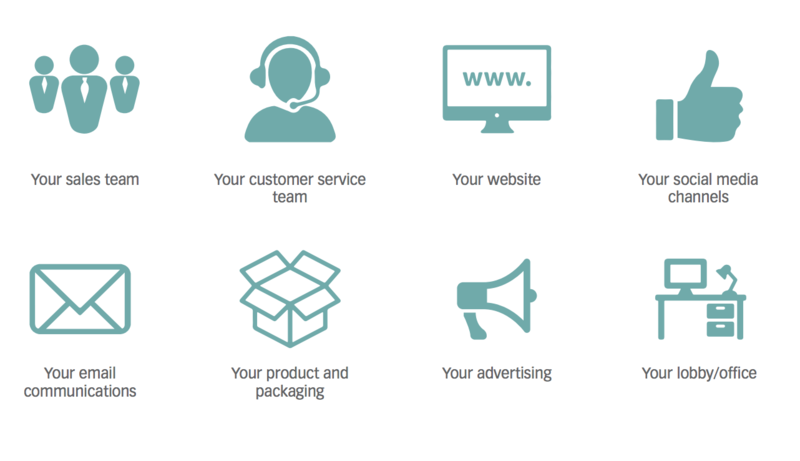 KBK Communications is a digital marketing agency exclusively focused on the Healthcare Supply Chain. Our team of industry veterans offers over 50 years of experience in healthcare sales, marketing, administration, and direct patient care. We pride ourselves on becoming an extension of your team collaborating to reach your company's growth goals. Our keen understanding of the market and your customer allows us to help you execute strategic digital marketing programs with sales at the forefront.